Mainly Silver is packed full of beautiful, stylish, top quality wholesale 925 Sterling silver jewellery at incredibly competitive prices…which means you generate even better profit margins. Don’t accept less than the best! There's no need to buy from the Far East when you can buy in Britain, direct from us, and pay low manufacturer’s prices as well as enjoying excellent UK based customer service. 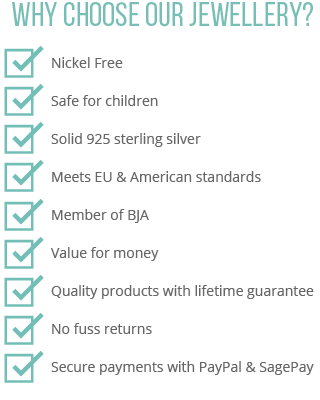 With over 20 years of experience in the design, manufacture and distribution of the highest quality affordable silver jewellery, our knowledge of the industry is second to none. We pride ourselves on our original and innovative designs, our superior manufacturing and the outstanding customer service provided to all our customers. You may not to be familiar with our name, but if you have ever bought jewellery you will certainly be familiar with our products. For many years we have supplied some of the largest and most reputable retail outlets in the UK and Europe. We are proven experts in the design, manufacture and distribution industry of premier quality 925 Sterling silver. We only use the highest-grade raw materials and the most modern manufacturing processes to ensure you receive a product of the utmost quality. If you want your customers to come back again and again, make sure you buy the best from International Collection Ltd. If you have any questions please do not hesitate to contact our experienced customer service team via the Contact Us page on this website, email to info@mainlysilver.co.uk or call us on +44 (0) 1273 689 582. Our friendly office team will be more than happy to help you in any way possible. Our silver collection is being updated and added to all the time with new items, new colours and improvements. We also keep coming up with new initiatives and ideas that, with your help, keep our collection of silver jewellery at the top and ahead of our competitors. Most of all, we value our customers and the repeated trust you put in our products and services.